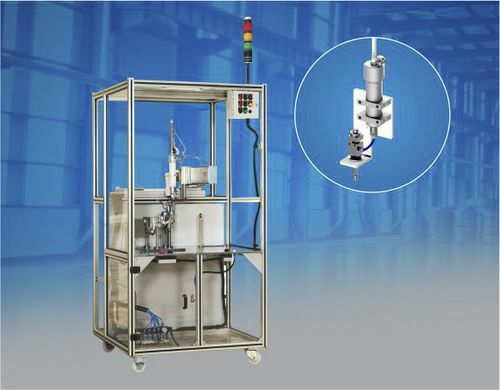 Sealant dosing dispenser / cartridge / high-precision - Twin Engineers Pvt. Ltd.
Industrial machines and equipment > Mixing and Dosing > Sealant dosing dispenser > Twin Engineers Pvt. Ltd. Stand: Twin Engineers Pvt. Ltd.
Twin's Cartridge Dispenser are a proven solution for consistent flow rate & waste free sealant dispensing across multiple applications. Advanced automation further enhances the efficiency & throughput for the process.